Great Opportunity for a Quad Verado 350 removable gap tower boat! 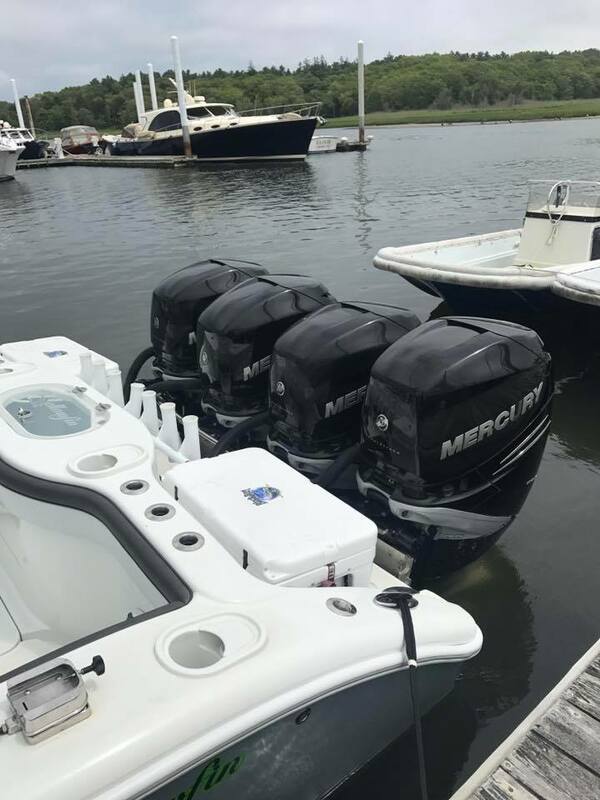 Mercury GOLD warranty until March 2020! 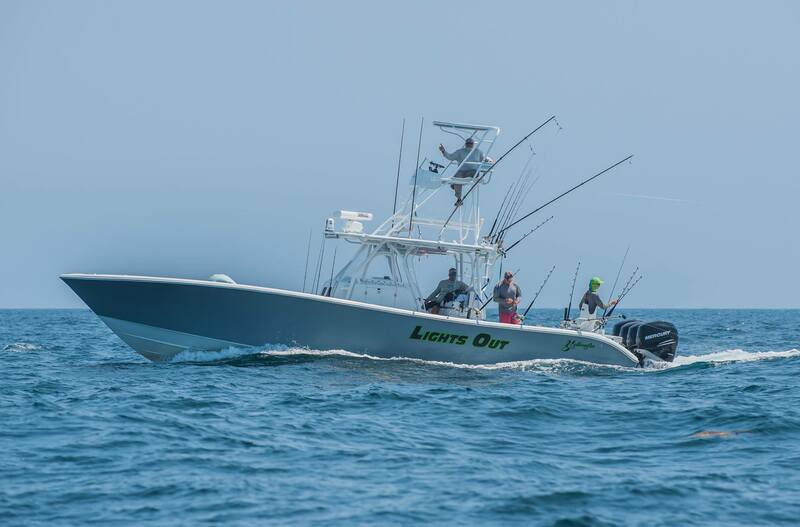 Lights Out is a highly customized 39 Yellowfin. Her build was extremely well thought-out and boast what very few have in her class. The attention to detail that went into this boat is second to none. Her impressive stature is matched with incredible performance, cruising in the mid 50's, with a top end of over 68 mph! 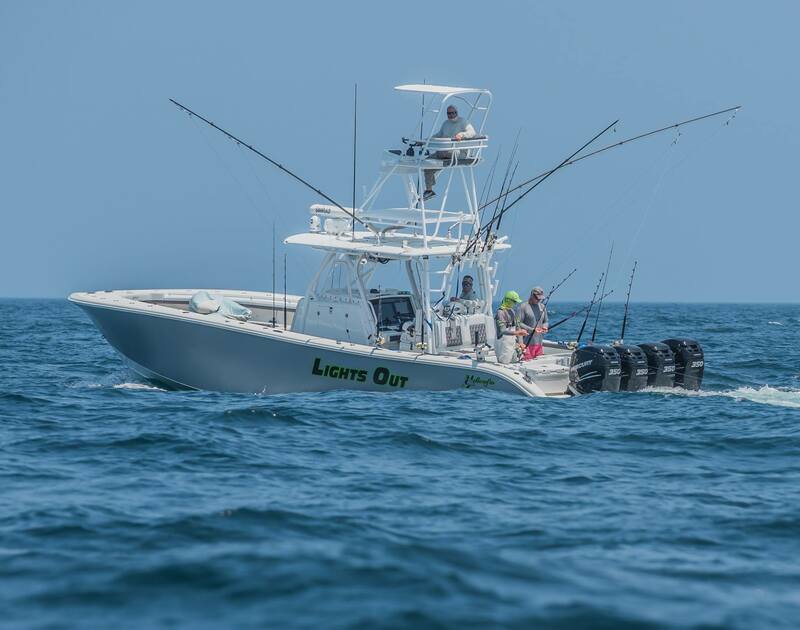 Quad Verado 350s, removable gap tower, insane Simrad electronics package, tuna tubes, deck well, live well cameras, over 70-rod holders, and a Fusion sound system are just some of the amazing features Lights Out has to offer. Click on full specs to see more. • Two-tone diamond stitch interior.